Manchester Show 2011: Hot deals and discounts for this weekend only | What Hi-Fi? The Manchester Home Entertainment Show opens its doors at 9.30am this morning, and as well as seeing all the What Hi-Fi? Sound and Vision 2011 Award winners, there are some amazing bargains on offer too. The standard show deal is 12.5% off all items over £100 sold through the sales desk, or 15% off if you buy two items or more. 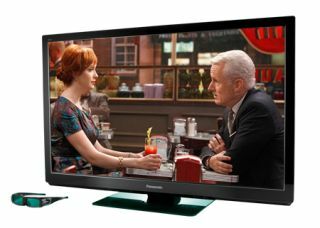 For example, our 2011 TV Product of the Year, the Panasonic TX-P42GT30, is down to £929, saving you £370, and that's with a free Panasonic DMP-BDT110 3D Blu-ray player, two pairs of 3D glasses and an Avatar/Star Wars 3D Blu-ray pack. To find out what else is happening this weekend at the Manchester Show, with daily news, live updates, product launches and plenty more, keep checking the news channel here on whathifi.com.